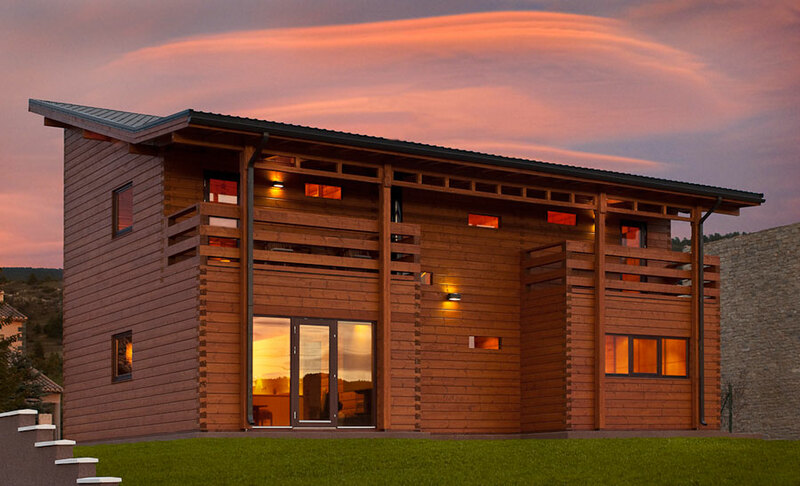 Our contemporary log homes employ the dovetail corner joint – a complex and effective way of joining two walls which is also very elegant and highly weather resistant. The dovetail corner joint is an important contribution to the aesthetic purity of your log house. Sometimes building regulations restrict common cross corner log home construction in some areas - but you are allowed to construct a dovetail log house. 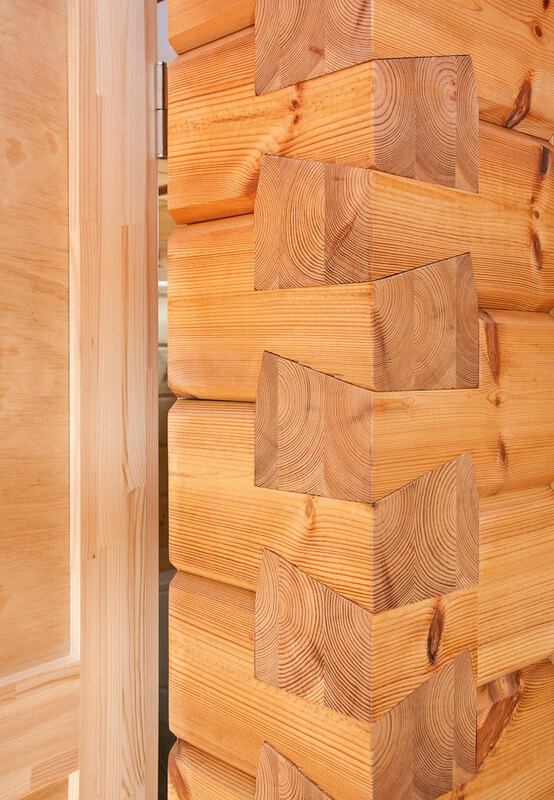 We can produce every log home or log cabin with dovetail corner joints instead of common and wide-spread cross corner joints. or like Canadian round log homes with dovetail corner joints. If you want a custom designed dovetail log sauna or dovetail garden house with massive walls - we do it for you. Please bear in mind, that dovetail log homes can only be made with logs beginning from 134 mm up to 280mm thick. Dovetail corner joints save you a lot of space in your home. 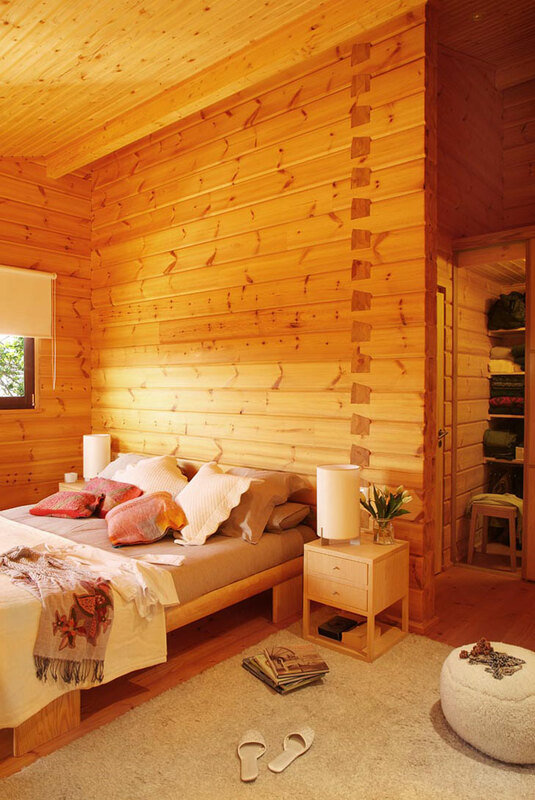 Your bedroom looks modern and beautiful, if there are ornaments of dovetail in your wall.